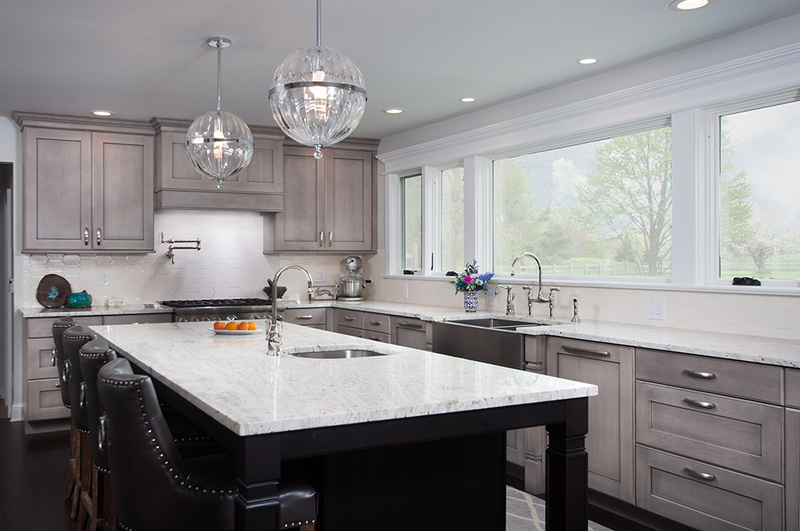 Custom cabinets, countertops, kitchen remodeling, bathroom renovation and general contractors in Bucks County PA for home improvements. 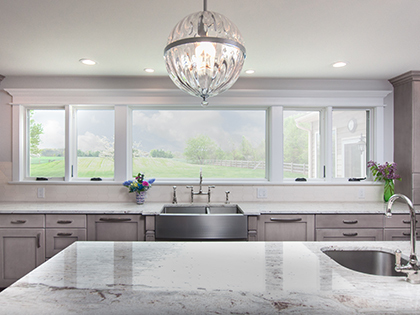 Canaan Cabinetry is located in Bucks County PA, one mile south of Doylestown Hospital on East Butler Ave. We do kitchen remodeling, custom cabinetry, cabinets, kitchen renovation and remodel my kitchen. We perform home improvements, bathroom remodeling, remodel bathroom, renovate my bathroom and bathroom renovation. 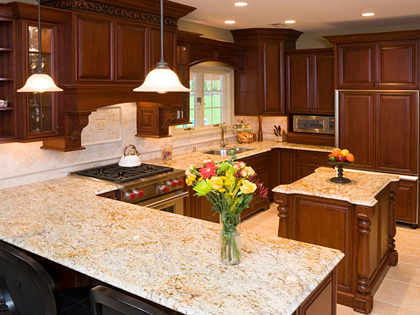 We are general contractors in Bucks County PA who build and are suppliers of new countertops, kitchen islands, kitchen refacing, fireplace surrounds, closet systems, basement bars, libraries, media centers, vanities, built in cabinetry, kitchen design, bathroom design and related services. We blend our client's ideas with our own expertise to bring projects to life that fit both your lifestyle and your budget. For a free estimate please bring rough measurements, photos of existing kitchen and photos and/or ideas for your new kitchen from Houzz, magazines, etc. 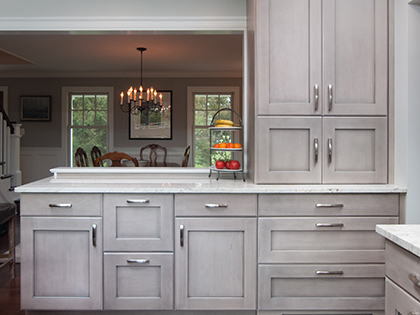 Explore our lines of framed and frameless cabinetry. 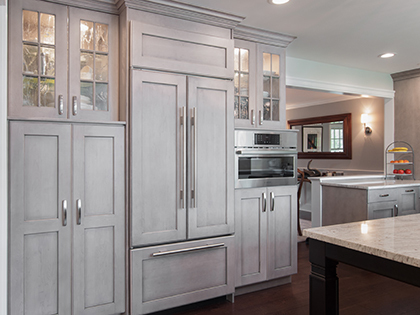 Many door styles and finishes are available from our manufacturers including Adelphi, Dutch Made, Foxcraft, Medallion, Signature Custom Cabinetry and others. We will ask for a retainer to cover our time for detailed design and pricing. We will survey the remodel extent and related costs. We will also take before photos and confirm the measurements of existing walls. We will review floor plan options, make kitchen storage suggestions and price out cabinetry and countertops. We will meet until you are pleased with your design. 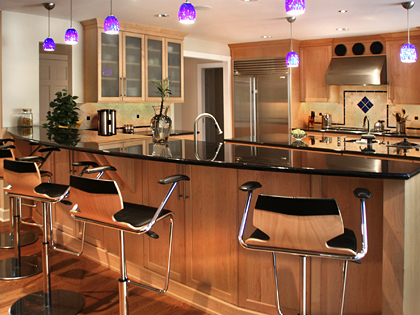 We help with the selection of project materials including cabinetry, countertops and hardware. 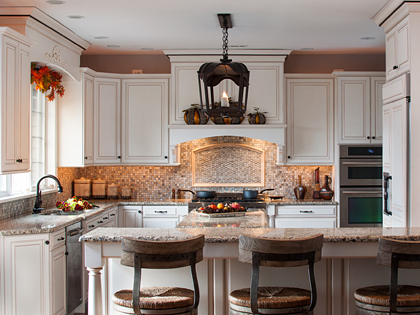 We also provide limited help with lighting, backsplash, flooring and plumbing fixtures. Then we will sign contracts, order cabinetry and schedule your project. Interior remodeling by Canaan includes demolition, soffit and interior wall removal. Additions and exterior work is outsourced. Flooring, painting, tile backsplash installation, plumbing and electrical work is outsourced as well. We will create a schedule of all the work that needs to be performed. 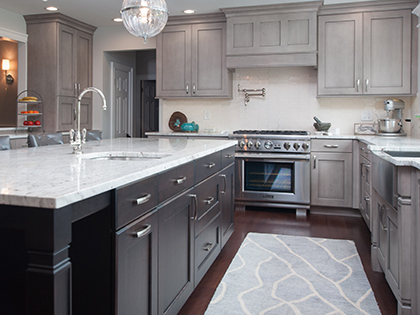 Cabinet installation and countertop template and installation are included in your contract. Call or email us today to discuss your remodeling or new construction project. You may also visit our showroom to review a wide array of samples. This contemporary, natural maple kitchen with black granite and cobalt blue accents would make even a professional chef feel at home. Cream glazed perimeter cabinetry with Giallo Ornamental granite and a backsplash of marble and glass tile creates a beautiful and inviting environment. This kitchen renovation features traditional dark cherry cabinetry with black accents and hidden details like spice storage in the hood behind the corbel, and others. We proudly serve Buckingham, Chalfont, Doylestown, Horsham, Jamison, Lahaska, Lansdale, Montgomeryville, Perkasie, Pipersville, Plumsteadville, Quakertown, Newtown, New Hope, North Wales, Sellersville, Souderton, Warminster, Warrington, Willow Grove and the surrounding Bucks County and Montgomery County PA areas.